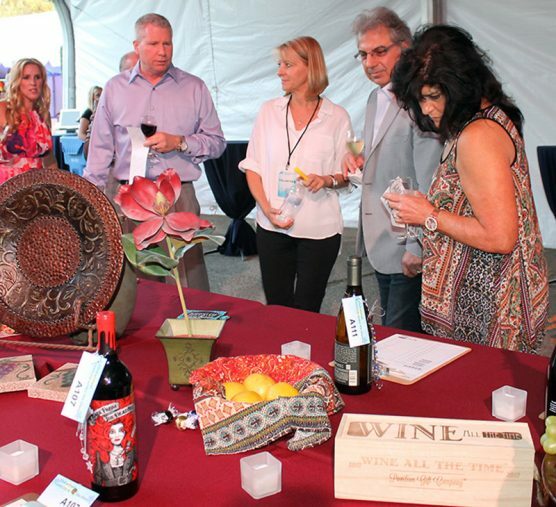 Guests at the Hoefflin Foundation Evening Under the Stars (2016) fundraiser view silent auction items. The Michael Hoefflin Foundation is accepting auction item donations for their 25th Annual Evening Under the Stars Gala Dinner and Charity Auction on Sept. 22. They are asking for your help. You can help by donating new, unused items or gift cards or certificates for services that we can use in the auction. Monetary donations are welcome as well. – Vacation Get-Away – do you own a vacation home or time share that you could donate a week for a getaway? – Starbucks Gift Card, coffee, bags, etc. Think outside the box. What interests you? Anything you can contribute will help assist families facing the devastating effects of childhood cancer. For more information, call (661) 250-4100 for drop off information or to make arrangements for local pick up. The Foundation would like to have the items as soon as possible to prepare for the event.